Do I Need to do a Refresher and What are my Options? PADI recommends when during their theory section of the PADI Open Water Course that you should do a refresher if you have not been diving for six months. This is for a very good reason, it involves your safety. Is this applicable to all cases? First and foremost, over and above anything else that is mentioned below, if you feel that you need a refresher scuba diving then you do. The requirement or need to do a refresher should not purely be based on time alone. The ability and confidence of the diver involved should also be taken into account. For example, a student who has only done the four dives of the PADI Open Water Course, was quite nervous during their course should look at doing a refresher. 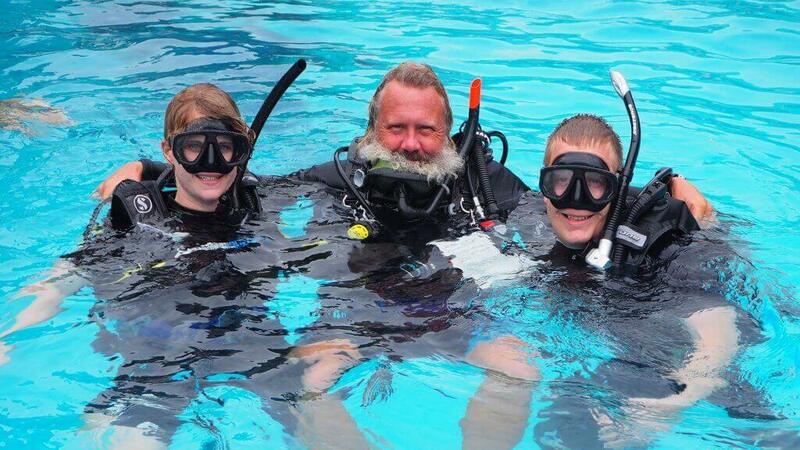 A divemaster with several hundreds or even thousands of dives would most like not need a refresher. Most divers slot somewhere between. As mentioned safety is our primary concern and should be our main focus point. Here are a few things you should consider when deciding what type of refresher you need. Time out of the water is the most obvious one. This is because over time a few things can change. • Memory Recall: Over time we do naturally forget how to do things. Out cognitive value diminishes and we may need a refreshes to jog our memory. Sometimes we do not like to admit it but we do. • Physical Ability: Overtime time we do change physically, sometimes for the better and other time not so. Although scuba diving is not so physically challenging a change in ability to perform certain exercises. • Mental Confidence: As we get older we become more mindful of what we do. We can remember back to when we were a bulletproof teenager. We start to get a greater awareness of our safety and well being and what we previously thought as a carefree activity then starts to play on our mind. • Physical Changes (body): Significant changes in our body shape can have an effect on our buoyancy level and control. Significant weight gain (or loss) can greatly affect our buoyancy control. Particularly the amount of weight that we use. • Change in Conditions or Environment: Going from cold water to warm water or visa versa does have some changes in the way we dive. Different types of wetsuits and weights needed do require different skill levels. • Change in Equipment: Different wetsuits, BCDs, masks and fins all effect the way we dive. Pool Refresher: Conducted at our Patong shop we can run through equipment set up, mask clearing, mask removal regulator recovery, buoyancy and an equipment fitting. A good brief refresher just to get the feel of diving again and to practice some of the basic skills. Practicing in a shallow pool is the safest way to perform the skills is in a shallow pool. The price is THB 500 per person. Boat Refresher: A two or three instructor led dive trip to Racha Yai/Noi. Limitations on depth (12 m) and basic skills refresher. A gentle way of getting back into the water. I simple dive for those that only have one day. 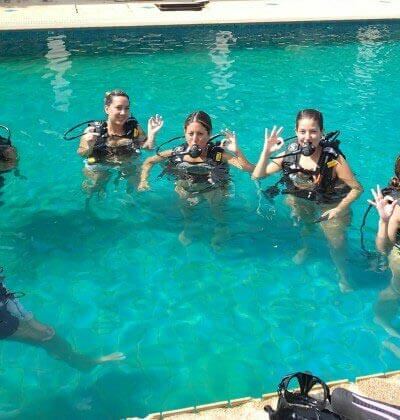 Two dives THB 4,300 per person – Three dives – 5,300 person. PADI ReActivate: Two day course involving an app based theory update, an extended pool session and a three dive trip to Racha Yai/Noi. An very thorough refresher both practically and theory based. 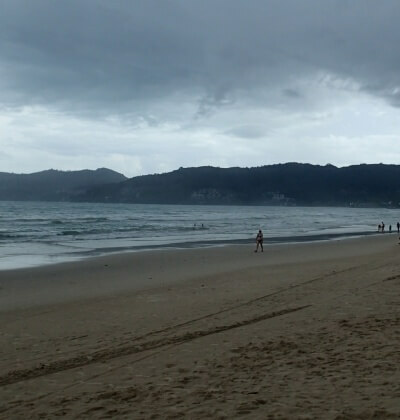 THB 7,500 including new PADI Certification card: THB 7,500 per person. Repeating Full PADI Open Water Course (no certification card). Three days, repeating all theory, confined water dives and 6 open water dives including Phi Phi. A complete overhaul of what you have learnt previously. THB 12,500 per person (does not include Phi Phi park fees THB 600). 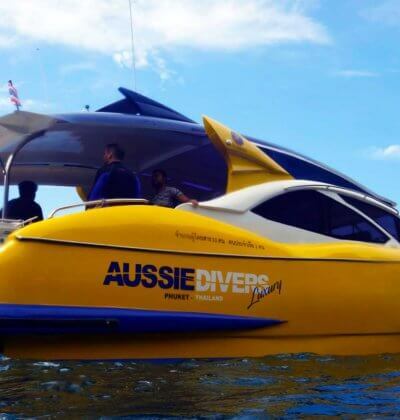 Best thing to do if you are still unsure is get in contact with our Aussie Divers staff and have a chat about your past scuba diving experience and we can advise you best on what program would be best suited to you. 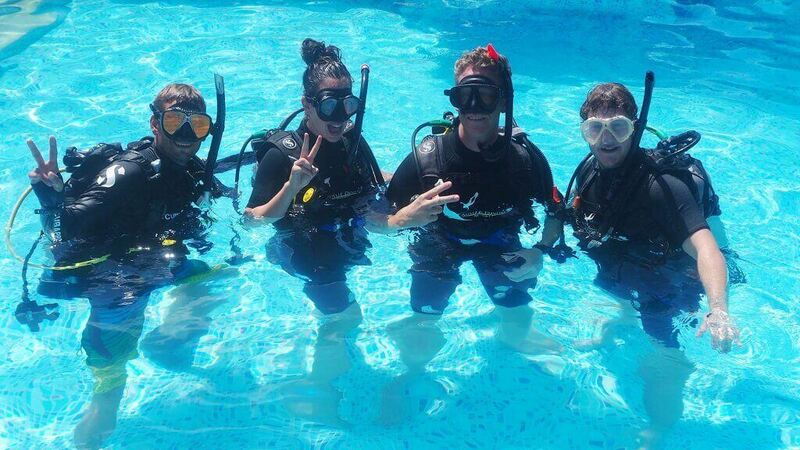 Aussie Divers Phuket> Courses> Do I Need to do a Scuba Diving Refresher? Posted in Courses on March 20, 2019 . 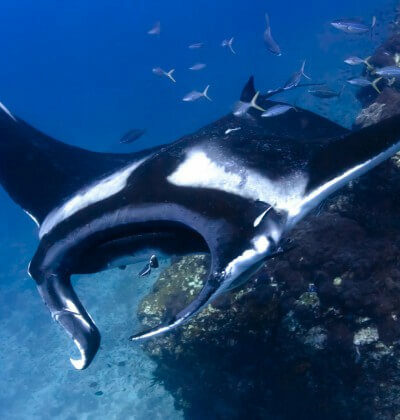 Can I See Manta Rays Scuba Diving in Phuket?